Lecture halls that support and keep pace with informative teaching styles. Case study halls for collaborative active learning and group work. Adaptable classrooms that keep pace with flexible informal learning and group work. Common areas for conversational learning and group work. Small informal open spaces to encourage social interactions before and after class, create activity, and provide a comfortable area to study. Small informal seminar spaces to encourage group interactions before and after class and provide a private area for group study. Finally, the central atrium and reception hall is the hub for the School of Pharmacy, providing a gathering place for community outreach. One of the principle drivers for the School of Pharmacy brings immersive learning with simulated or real-world experiences together in innovative learning settings. Sterile and Non-sterile compounding labs support training groups of students in new lab techniques for pharmaceutical product preparation. Practice labs permit students to build skills in wellness education and patient interview assessment. Face to face role-play is captured on video for assessment and exams. The zebrafish lab is an important tool for many areas of biomedical research, including cancer biology, cardiovascular disease, aging, and toxicology. The zebrafish lab provides dedicated high-technology lab space for focused basic research and a teaching environment in the care and breeding of zebrafish in a pathogen free environment. 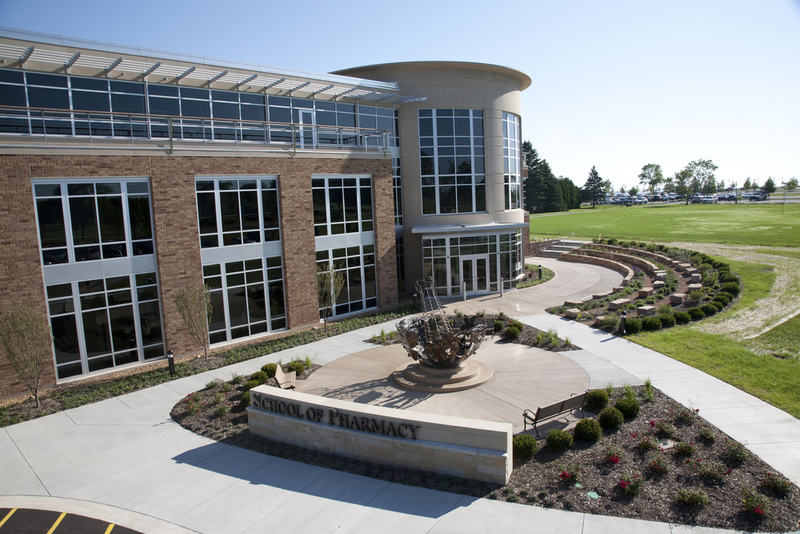 The Concordia University Wisconsin School of Pharmacy represents a learning-centered approach to education, creating networks of places for learning. Teaching spaces and classrooms support traditional informative teaching styles, collaborative learning, group work, and flexible conversational learning. The School of Pharmacy grew enrollment in graduate studies by 400 students annually. Operating as a central hub achieves a greater sense of belonging and collegiality and creates relationships between faculty and students that are more meaningful. The School includes a Pharmacy Museum portraying the full historical range of pharmacy practice and research.